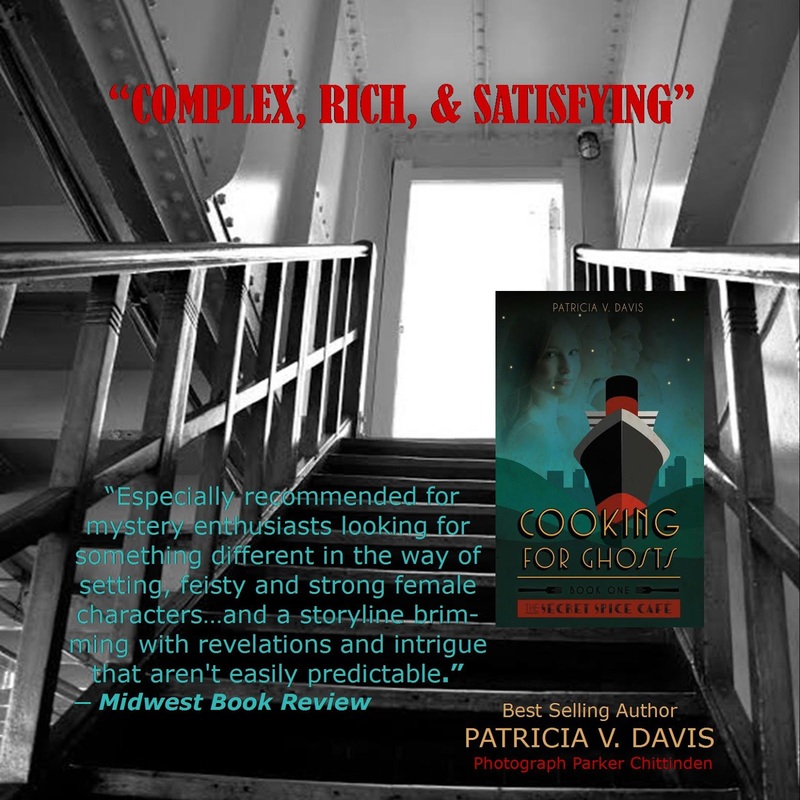 You are really going to want to read this book! 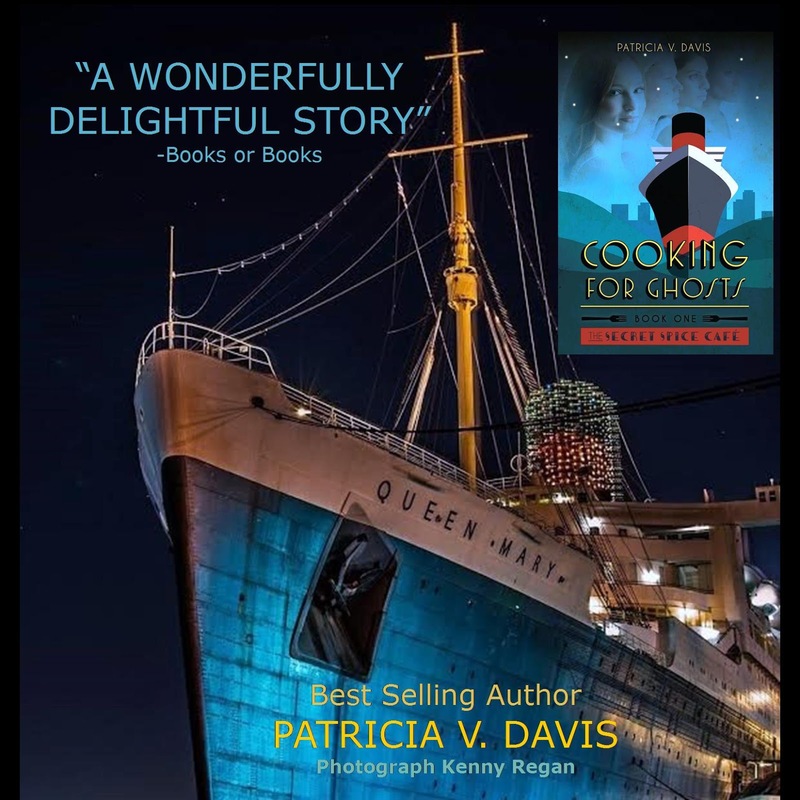 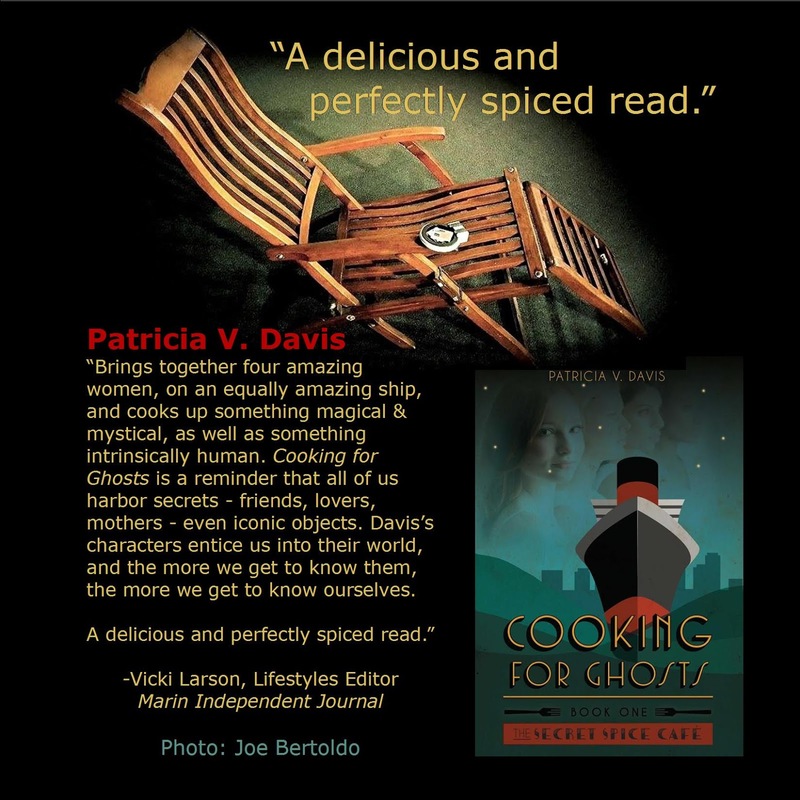 COOKING FOR GHOSTS by Patricia V. Davis. 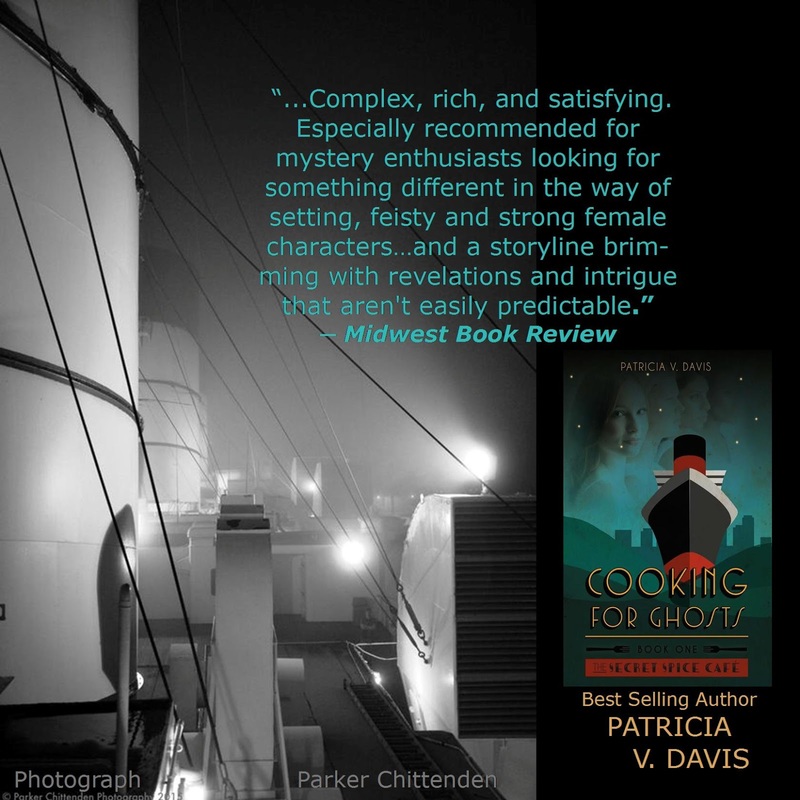 It has been satisfying to take photography provided by the author, along with reviews provided by the publicist, as well as the book cover, and create these graphics that can be used on Facebook, Instagram, Pinterest, and beyond.